ListViewer is one of the 3 Image Gallery types built into Showkase. ListViewer is a simple, clean vertical scrolling page of images and optional captions. 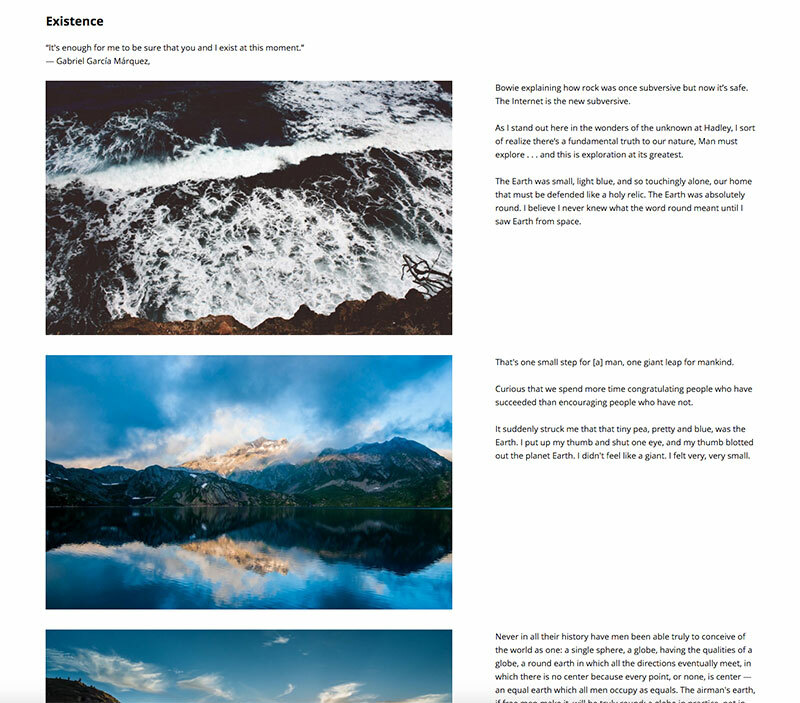 We added a new Split layout which allows you to show images and captions side-by-side in the list. This is good for galleries with lots of text. We also made it easier to add longer image captions in the Admin UI. Check out an example ListViewer Split Layout. 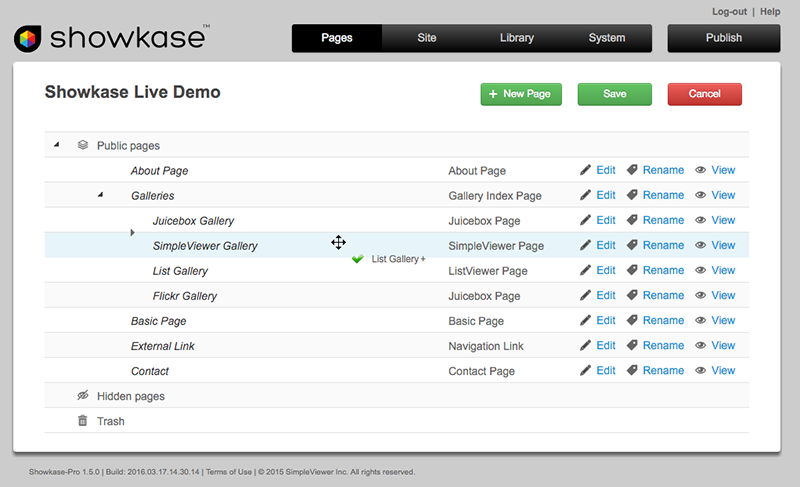 The ‘Pages’ Screen is where you create and organize the pages and galleries in your Showkase website. We have rebuilt the Pages Menu to make it a lot easier to re-order, delete and recover pages. You can now Drag-and-Drop pages for easy resorting. Check out the new Pages Screen via the Showkase Admin Demo. Hi, haven’t been able to find where/how to implement the new splitview format after upgrade..
Nevermind, found it in ‘Override Site options’ menu, ‘Image Align’ and choose Split. The new version looks good!